July 17 News | Jobs in Radio, Audio, Film. Film Connection student Caleb Dixon finds new confidence doing what he loves! RRFC INTERVIEW: Joey Paranoia talks Ableton, DJing and creating without limits! Orlando-based artist and composer Joey Paranoia, has worked with major artists including Randall M, Nexus, David Christophere from Rabbit in the Moon and is a leading expert on Ableton Live. In a recent interview, Joey shared a bit of his own journey into electronic music production and DJing, talks about his passion for Ableton and live performance, and offers some helpful advice for students as well! Enjoy. RRFC: So can you start with a bit of your backstory? How did you get into music and DJing? Joey Paranoia: I kind of did the non-traditional route. My parents did make me take music lessons, although I wasn’t too fond of the teacher I had. It was very regimented and kind of boring, and I would make up abstract pieces of music or be all excited about things, and they were like, “No, this is not the right way to do it. You need to be structured.” So…I left it and kind of just wasn’t really into it, and got really into film. I really started to like editing and putting music to visuals. So I needed to be able to mix music to the films I was making, and that’s really where I kind of got the bug again for music. I was maybe 15 or 16 years old, in about 10th grade in high school. That kind of led me to mixing music analog, on cassettes, being able to blend things together. This was in the 90’s…I started seeing these machines and got really into it. I thought the artform was really cool. It was very experimental, which I liked. So that was the base foundation of what turned into my career later as a professional performing musician DJ. RRFC: What was your music scene like back then? Joey: It was all kinds of different experimental groups. It was like people on turntables, a guitar player, singer, people doing live vocal samples and loops with analog recordings and tapes and being able to use all kinds of weird, trippy effects. So it was a very kind of freeform style, and my roots were in DJ’ing. I started DJ’ing records, and I was mostly into electronic music, and when I moved out of my parents’ house after high school, my first roommate was a hip hop DJ. So it was kind of like the two meeting of the minds of, “Look what I can do with my records,” “Well, look what I can do with mine.” So we were doing scratching and beat matching, and then that led onto getting our own drum machines, keyboards…The genres and trends were kind of coming and going in waves, and we would kind of hop on one and take a little bit of this one and that one. We were always kind of coming back to using digital, like computers and machines on with analog equipment and making kind of a jam out of it. RRFC: At what point did Ableton come into the picture for you? Joey: It was probably 2004, 2005, 2006, something like that where everyone was able to get a computer, to get a program, and to record their own music at home. It was becoming affordable for everyone, I had a bunch of analog equipment, a bunch of turntables and records and things, and I really just needed a program, a software, to record my sets into. I went through a bunch of different options, but Ableton appealed to me visually. It was colorful, it was an easy interface, and I just saw one of my heroes using it on stage, and I was like, “Well, I think I’m sold. That’s the one for me.” So I purchased Ableton and started to record analog gear and sets in Ableton. That was kind of the first wave of using it, which evolved into, wow, “you can actually cut the information up and trigger it live and do a bunch of things you could never even dream of with analog gear or turntables.” So it was kind of the best of both worlds, and it really fit the evolution of where I was going musically. RRFC: Do you by working with Ableton the way you were, that this sort of harkened back to you when you were a kid having those elemental creative urges, wanting to do this freeform abstract stuff but your instructors were telling you “No”? Joey: Yeah, very much so. There were no rules and no limitations. It was just whatever you could come up with creatively, you could really put it down, and it would be kind of manifested right in front of you instantly, whereas it would be almost near impossible to do with analog gear. RRFC: So do you geek out on actual sounds themselves? Like capturing stuff and recording it? Are you creating your own samples? What is it that’s going on with you at that level? Joey: Yeah, I am definitely kind of a nerd when it comes to field recordings. I definitely like real-life situations. I think that gives it a more human touch. So I try to field record, which is just sampling real life, whether it’s birds and nature or people talking or just abstract sounds in general, and then putting them into Ableton and manipulating them through effects or sequencing different things. And that goes along with having everything in stock. When you buy a program, everyone is going to have sample packs with some drum kits and different BST’s and instruments. Putting the field recordings along with that gives it a nice balance and a certain feel. RRFC: Can you tell us a bit about the DJing aspect of your career? What turns you on about it? Joey: DJing is really the root and foundation for me. I didn’t come from a musician background. I really got into music just by mixing weird sounds and weird music together…I always liked how things could be seamless with a DJ set, where things weren’t starting and then stopping. So with DJ’ing it’s really a feeling, and I think whether you’re DJ’ing house or hip hop or just blending music together, it’s setting the mood and the atmosphere for the situation that you’re in, and if you can really kind of tune into that and match it with what the people are feeling, obviously if it’s a big, crowded warehouse and they’re all dancing, you’re going to play the music that’s going to fit that. Or if it’s a chill environment, you kind of want to gauge it to that. That’s what makes a good DJ, and that’s what I try to pride myself on. I don’t discriminate against different genres. I think everything has its place. I mean I could be playing to a huge festival or to a little dive bar crowd playing old rock music. I’m into it, you know? I just try to make it cool and use the artform and have a good time and make people hear music that maybe they wouldn’t be exposed to otherwise. RRFC: So what got you into teaching Ableton? Joey: It’s funny because I never thought of myself as a good teacher or thought I would be teaching professionally…I never really liked the atmosphere of school…I would make YouTube tutorials on Ableton and different drum machines back when YouTube started, and Ableton actually contacted me directly and they were like, “Hey, we’ve seen your videos on YouTube. We’d like to invite you out to test among some of the other people and see if you want to become an Ableton certified trainer…I didn’t really think much of it at the time, but I went out there, I got my certification…I was probably the youngest kid there and I was doing things that they had never really seen before…It just kind of spiraled out of control when I started teaching…My heroes growing up were hitting me up to get some Ableton insight…So I guess it was by chance, but it’s worked out very well, and my approach to teaching and training, I really try to relate to each individual person. I try to see where they’re at, what level they’re at, what they want to do with it, and go from there. I don’t teach a kind of A-Z type course. I really try to get in tune with the individual, because everybody’s different. Everybody’s using it differently and everyone wants to have a different end goal and result. RRFC: So what’s it like to teach your heroes? That must be a crazy experience. Joey: It was definitely one of the highlights of my music career in general, being able to, one, help out someone who blew my mind as kid and inspired me and is still inspiring me, and just to meet them on their level and to be able to work with them. It’s kind of like joining your childhood band or something like that to really see the insides of how they’re doing things and becoming friends with them. So it was great. It was a humbling experience but a very motivating and satisfying one as well. RRFC: That’s a very good takeaway for anyone working in audio or music—we’re always teaching each other something. You’re always learning, no matter what level you’re at. Joey: Right, very much so. The students, I tell them I’m learning as a teacher as well. So the more I teach and the more people I teach, the better teacher I become…I just try to stay really focused and aware of that. RRFC: Let’s talk about one of your students, Emily Stamer. 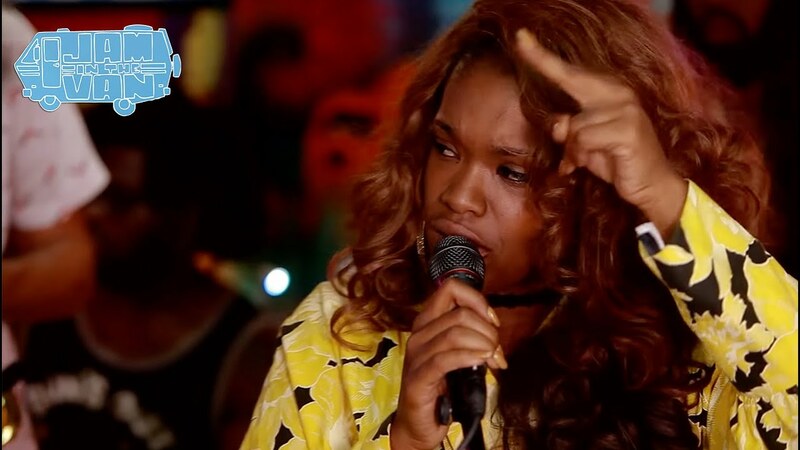 Can you tell us about your first interview with her, what you thought and the journey she’s on now? Joey: Emily was a young student who, you could see the fire in her eyes for sure. It reminded me a lot of when you’re just kind of discovering music and how you just go to pieces over the music that you just saw and you’re like, “Wow, this is so cool. This is what I want to do. I know I can do it. I need to know how to do it.”…So she was really super motivated and inspired…We kind of related to a couple artists that we both admired, and kind of jumped off from there and started doing basic DJ’ing just to get her playing and performing, and that kind of set the foundation into production, which we’re getting into a little bit more heavy now that she’s been in the program for a little bit, writing her own tracks, setting some goals for some EP’s and things—and then also on the business side of it, teaching her how to book shows, teaching her how to network, how to collaborate with her, how to use her brand and what she’s doing and make it a business and have her succeed. RRFC: What are you looking for in your apprentices? What do you want to know when you first interview them? Joey: I like to make sure they’re coming at it with a positive attitude, for one. I like them to be humble and very aware that it takes time. It’s not this snap your fingers overnight thing. Everything that you learn—whether you’re doing more behind the scenes stuff or engineering or producing, or if you’re a performer or artist—every little bit is just another brick into the building that you’re ultimately trying to create for yourself…You won’t even understand or even know the depths of the good feelings unless you go through the bad stuff too, the heartbreak or frustration. It’s a very rewarding career and a very rewarding profession, but it doesn’t go without its hard times, and you have to stay on it…It’s going to be great and fun, but it’s hard work. RRFC: When you mentor students, what is your own takeaway from the process? Joey: It’s good karma, right? Something positive…I feel as though I’m really helping people in a good way and it’s a positive thing. I mentor people who are doing it, they’re retired and they’re just doing it for fun now in their chiller years, and you have the younger people who want to make a career out of it, and you have other people who are doing different projects. But it’s all being able to give them something that someone gave to me, and that just hopefully will keep the whole thing moving along, whether it’s for art’s sake, music’s sake…it’s just a good feeling. It’s a rewarding feeling. 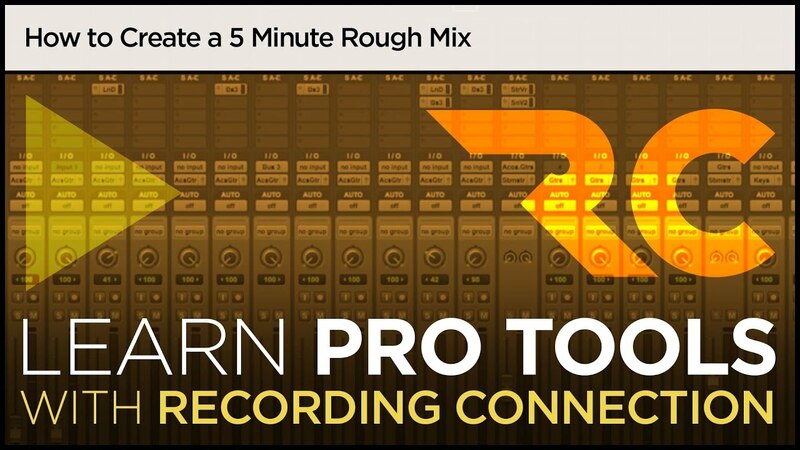 Pro Tools Tutorial: How to Create That Rough Mix in 5!